Who looks hotter in the red robe? Who looks hotter on top? Sexiest ducha, ducha de Scene? Does Bo feed off Lauren in S3E04 Fae-de To Black? 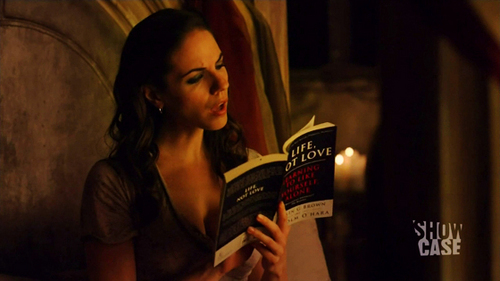 Does anyone know the creators of the Anna Silk fan Site Tumblr Page? Who else things that Bo & Lauren might actually be "Strange Attractors"? “....I’ve had the privilege of working with Zoie on three different shows and I actually worked with her on Instant Star, the mostrar a long time hace where she played this rocker character Patsy Sewer, who was named after my lovely aunt, one of my mentors. So, I knew Zoie could sing, but it’s been a while and it was such a departure from Lauren. But she was really game.